After joining forces to create an exquisite quartet of special models based on the Vanquish, Aston Martin and Zagato are teaming up once again for an equally interesting project. First announced in September 2018, the DBZ Centenary Collection is making the headlines courtesy of newly released design sketches giving us a better idea of what to expect from the lovely pair. Half of that duo is the DBS GT Zagato while the other half is a DB4 GT Zagato Continuation, with both to be sold as a pair for £6 million (about $7.9M at current exchange rates) before taxes. 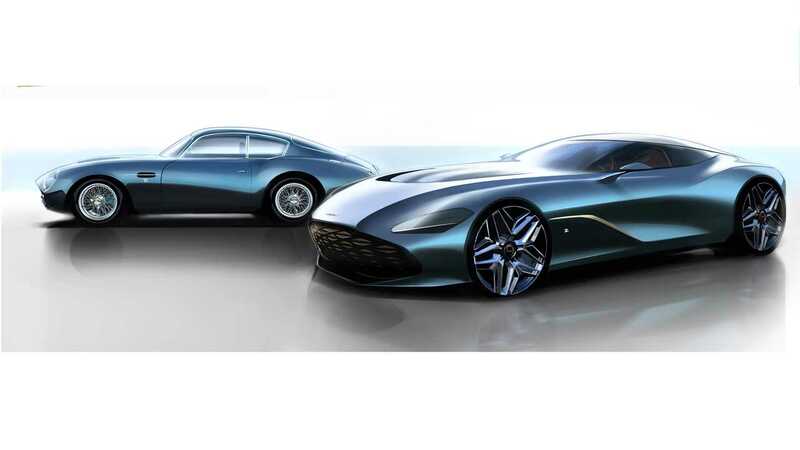 Production will be capped at 19 units per model and the idea behind the tie-up is to mark a century of Zagato heritage and nearly six decades of collaborations between the Italian design house and the Gaydon marque. 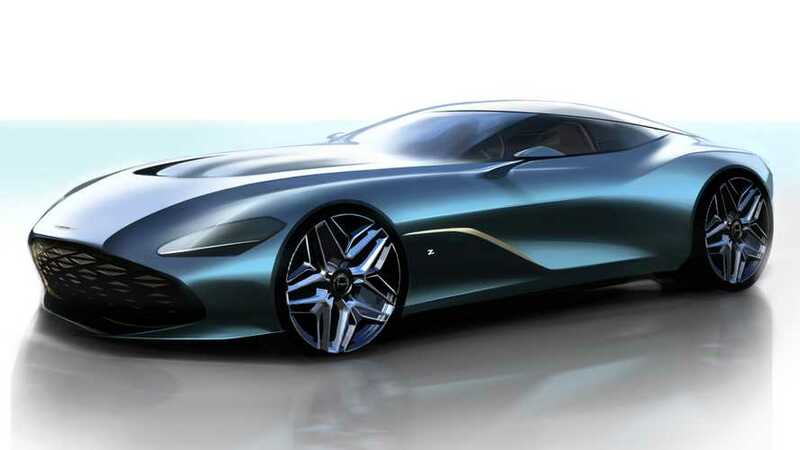 Together with the sketches, Aston Martin has shed more details about the DBS GT Zagato. Based on the DBS Superleggera, the version designed by Zagato has the traditional double-bubble roof design stretching over the full length of the canopy. This familiar motif extends onto the hood as a nod to early Zagato designs, while the designs of the grille, headlights, and wheels create a visual link with the classic DB4 GT Zagato from 1960. No word about the DBS GT Zagato’s oily bits, but it’s expected to carry over the Superleggera’s mighty twin-turbo 5.2-liter V12 engine with 715 horsepower and 663 pound-feet (900 Newton-meters) of torque. In the regular version, it’s got enough punch for a 0-60 mph (0-96 kph) ruin in only 3.4 seconds before maxing out at 211 mph (340 kph). As for the DB4 GT Zagato Continuation, it’ll make use of a straight-six engine with 380 hp channeled to the rear wheels via a four-speed manual transmission and a limited-slip differential. Aston Martin will kick off deliveries of the DB4 GT Zagato Continuation in the fourth quarter of 2019 while the DBS GT Zagato will be in the hands of customers from Q4 2020. 25 March 2019, Gaydon: With the upcoming Centenary celebrations for world-renowned Italian design house Zagato soon upon us, it is the perfect moment to release the first detailed renderings of the new DBS GT Zagato; the second half of the remarkable DBZ Centenary Collection. Created to celebrate the centenary of the legendary Zagato signature, the DBZ Centenary Collection is a unique project that pays tribute to an icon of the past and creates a classic of the future. This unique collaboration extends a remarkable creative partnership spanning almost 60 years. One that has consistently generated bold and breathtakingly exciting designs, the latest of which being the DBS GT Zagato. Taking Aston Martin’s most potent series production car - the acclaimed DBS Superleggera - as its starting point, the DBS GT Zagato embodies the next evolution in Aston Martin Zagato design language. Inspired by the voluptuous shapes that previously dressed the original DB4 GT Zagato, Aston Martin and Zagatos designers have worked hard to conjure a similarly evocative design language. A key design feature remains the iconic double-bubble roof. Stretching the full length of the canopy, this fresh interpretation delivers a clean and sculptural form that flows from the top of the front windscreen to the car’s rearmost tip, discarding the traditional rear windscreen in favour of a purer roofline. The double-bubble theme continues frontwards across the car’s bonnet, reminiscent of the shape and form seen on original Aston Martin Zagato designs. These flowing curves are complemented by the model’s wide wrap-around windscreen, removing any hard lines above the car’s shoulder line. Muscular rear haunches deliver powerful and purposeful definition to the car’s side profile, while a unique wheel design, headlamps and a striking front grille – a key feature for all Aston Martin Zagato designs - continue to deliver a modern twist on the DB4 GT Zagato’s classic form. Paired to the build run of 19 DB4 GT Zagato Continuations, the DBS GT Zagato will only be available as part of the £6m (plus taxes) DBZ Centenary Collection, thereby becoming one of the rarest and most coveted of all the modern-era Aston Martin Zagatos.